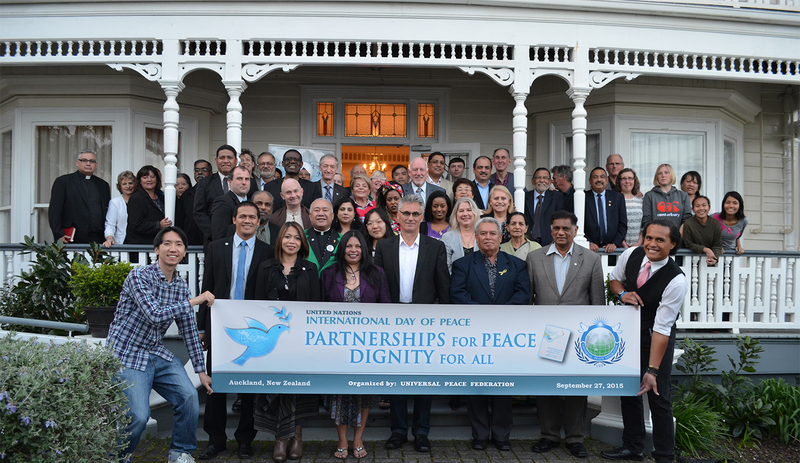 UPF New Zealand: In commemoration of UN International Day of Peace 2015, UPF New Zealand held a special forum discussing on the theme, “Refugee Influx – A Crisis or An Opportunity” on 27th of September at the Parnell Peace Embassy. 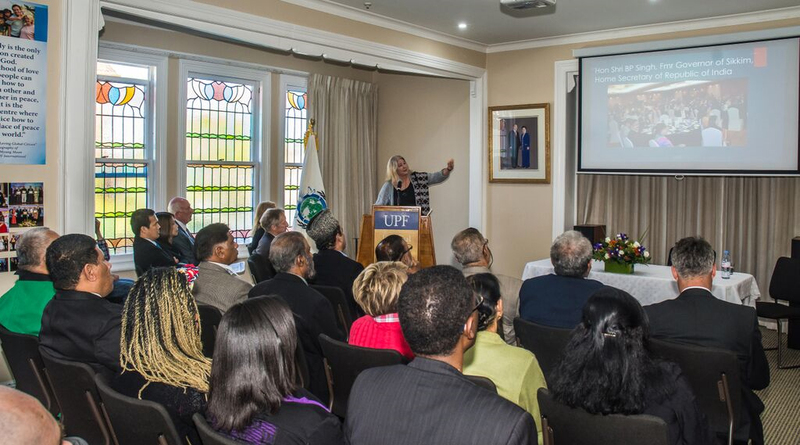 It was attended by about 60 AFPs, distinguished guests and family members who worked hand-in-hand to make the event a successful gathering, aimed to raise awareness of the complex global situation that could perhaps be both a crisis and an opportunity. The Panel of Speakers includes Mr Qemajl Murati, a Manager of the Refugee Quota under the Immigration New Zealand. He shared the situation from this land’s historical attempts to accept refugees all the way to various works his organization is doing with the refugees and asylum seekers. He also talks about the upcoming facility upgrade project of the New Zealand government to provide better care and support for the refugees accepted by the New Zealand government. UPF-NZ Secretary General, Mr Geoffrey Fyers as one of the panel speakers shared about the pros and cons of the refugee movement in various countries more specifically he highlighted his own personal experience when he stayed in Zambia for 15 years as missionaries. The last panel speaker AFP Rev Dr Frank Smith from the College of St John the Evangelist shared his views about the topic in the religious context. He emphasized the need for human compassion and focusing on one’s heartistic nature in dealing with refugee situation. There were also presentations and reports made by NZ AFPs who have had recent experiences in travelling to Korea for the International Leadership Conference and the World Summit, AFP Kieran Trass and AFP Rev Diane Winder respectively. 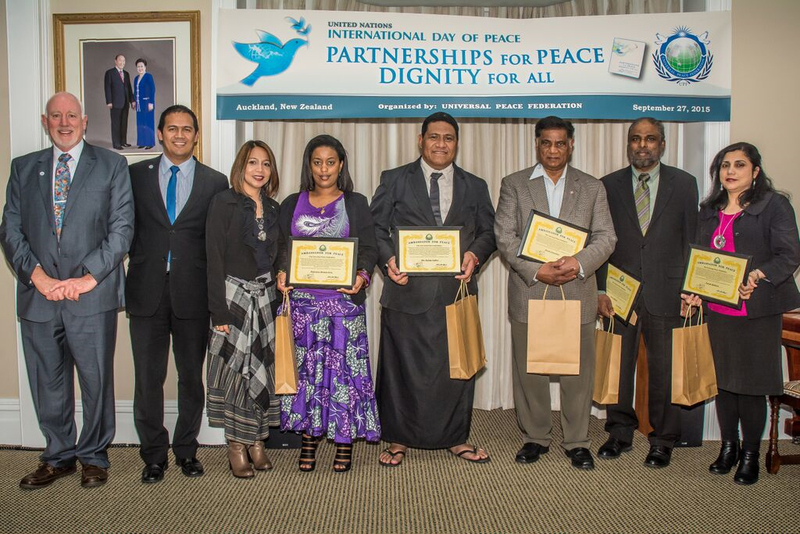 The event was concluded by a closing message by Rev Julius Gicole, the UPF-NZ Director where he highlighted the importance of coming together as Ambassadors for peace and builds a strong sense of responsibility towards the various challenges that humanity is facing in the world starting with one’s family and community. He stressed the needs to be informed and to receive the right information in dealing with issues such as the refugee situation. We are all grateful for the opportunity to meet together as people who long to create peace and harmony with our own hands. We hope that this is but one of the many stepping stones we share together in making our dreams a reality.